Sigfried Giedion (1888–1968) and Carola Giedion-Welcker (1893–1979) were among the most distinguished and influential scholars of art and architecrual history during the 20th century’s earlier dacades. Of particular impact was their role in connecting leading protagonists of modernism in architecture, art, and literature, such as Alvar Aalto, Hans Arp, Constantin Brancusi, Marcel Breuer, Max Ernst, Walter Gropius, Barbara Hepworth, Le Corbusier, László Moholy-Nagy, Piet Mondrian, or Sophie Taeuber-Arp. The discourses they initiated, for example on the New Vision in photography or a “Synthesis of Arts,“ have lost nothing of their relevance and provide new starting points until the present day. 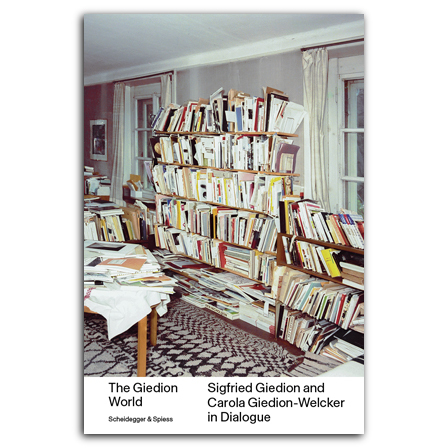 The estate of Sigfried and Carola Giedion-Welcker is today kept in Zurich at ETH Zurich’s Institute for the History and Theory of Architecture, the Swiss Isntitute for Art Research, the University of Zurich’s Institute of Romance Studies, and the James Joyce Foundation. It comprises some 16,000 letters, 10,000 photographic prints and negatives, a wealth of other papers, and a vast library.